This milestone is a big deal for me as I’m not a gifted or a ‘natural’ writer. I take so much time to write a single post, barely managing to write 4 posts in 30 days! I know many who can literally type their mind out on a weekly, daily, & hourly basis. I can’t. Even if I did, I don’t think there is a post yet that I’ve published just right off the head. I keep chewing on it, pondering over it endlessly. Then, once I’m done typing out all the thoughts, I sit & bring down the 2 pages of that initial draft to just a page. To chop off sentences from your article is not easy. We tend to cling to them. As K.R Narayanan said, ‘it takes a lot of heartlessness to “murder your darlings.” I’m beginning to think I’m a very good murderer - an average writer with above average editing skills. Blogging has been the precious pair of attentive ears that I’ve always wanted. Other than what it has done to my mind, I think the great thing about it is the people I "met." I’m lucky (touchwood!) that most of my readers are really nice & decent. I’ve heard of the creepy-crawlies that plague the blogs of women & considering that I write a lot of personal stuff, it’s a relief not to be hounded by such seedy characters. I owe my wonderful readership to Indiblogger which I joined in July’11 & until which time I only had 2 readers - Suzaan & Suraj!! Then Prashanth came to & through him came Sahana who was the one who got me to join Indi. Thank you Prashanth for discovering my blog. Thank you Sahana for being my blog angel, & for guiding me on many aspects of blogging. Thank you Hemant & Murali for your valuable critique of my blog on Indi. It was Hemant’s feedback that made me think hard on having a blog name & switch from ‘Sujatha Sathya’ (ya…eeks!!) to ‘Conversations’! It was a time when I didn’t even know that there was a thing called blog name! Yup, I was pretty dumb! One must appreciate a reader’s time & effort when he reads/responds to a post. I don’t understand those that say, “More people should read me. I’m good” & accuse readers of being on this give & take system of reading a blog. I ask: why not? You want me to read you & you won’t read me?!!? Why boss? You think you are Shakespeare? If you want to show your appreciation of my writing, don’t tell me I’m a good writer. I won’t believe you anyways! Just read me. This applies to ANY blogger. You like him, read him. Simple! Those that I like or built a rapport with, I’ve even gone backwards & read their older, initial posts. There are blogs that I’ve read COMPLETELY! That’s my way of saying: ‘I like that you make the time to read me regularly. Thank you would be too small a word to express myself. I read you because you write well, I connect to it, keep writing’. For a long time (3 full months! ), I obsessed about the number of followers/comments/page-views/statistics/ranks etc And then one day, realized I was running in the opposite direction. The disappointment over my own obsession with the number thing was so much that I became detached from it. Pretty early I must say. And eventually it stopped mattering so much. I learnt to distinguish a real reader from a passer-by & that the reason to blog cannot be the numbers game. :) Congrats on the second anniversary and 100th post :) It was great pleasure reading and knowing ya here. Expecting much more from ya.. Keep on entertaining and enriching us. wow! that's a huge compliment! Congratulations on attaining these milestones, Sujatha! Murdering your own posts, I liked that :) You can compare your readership with others to give you a testimony of its popularity! Wishing you many more successes in writing and may your readership grow by leaps and bounds! First of all Congrats! Yay! What I like most about your blog and you is your honesty that shines through. Your heart is in the right place. And, frankly I would not have the guts to write so openly about some topics that you write about. More power to you! It is never about the number of posts. Write when you feel like and when you want to share something not because there are milestones to meet. Reciprocation and respect for your readers is important in blogging. The best part is the interaction with so many wonderful people. Keep writing, girl! Yes ! Blog should not be a numbers game. We want quality blogs and quality posts. Anyone can become a writer... but become a good writer is a skill. Only they can get readers. I agree with your lessons of blogging. Congratulations! I am your recent reader .Enjoying your posts .They are so sweet and soft . Remember, your's was the first comment on my blog and it's from there I started my journey. It was from you that I learned what blogging is and almost everything one should know about blogging. So you have been suzan, sahana, suraj and prasanth for me. Thank you so much for inspiring me with your posts, comments and constant support. I think ecosphere=biosphere in geography. That's a place where the hydrosphere, lithosphere and atmosphere interact with each other. A zone that can support life in all forms. I'm not sure if I'm completely correct(just recollection from my 8th std). Congratulations on reaching a cool milestone!! Wishing you many more successes as you share and express at this space!! Congratulations on your 100th post, Sujatha! I am a recent reader on your blog, though I can't say am a regular. It takes courage to get out of the number mania obsession. I joined Indiblogger recently, again courtesy-Sahana. It is really nice of you to credit your first readers. Yes, they are very dear. Sorry for the long comment. Wishing you many more such milestones..
oh Sahana in your case too? wow! nice! its a phase actually Uma...more than courage, i guess it's just a matter of time & we all will come out of the number obsession. Two years of blogging! Congratulations and wish you many more years of happy blogging. The learning of 2 years viz. blogging is not about numbers is wonderful. I would say not just number of pageviews, number of followers; even number of posts-if you have less posts, it does not matter, but qualitative they are the best. You type two pages, carefully edit to one page- all these show the devotion and reflect on the quality. Once again, many more years of happy successful blogging! Many Congrats on the double - 2 years and 100 posts, that is really something. I sit and chew on a post for hours as well but I would have it no other way. I reckon its going to take me forever to reach the 100 post mark at this rate. Keeping writing and the milestones, readers and comments are sure to follow. Sujatha, you are sure a fast one! I wrote my 50th post only on February 26th this year and I've been properly blogging since 2007! Never mind, I am one slowcoach! There are many who'd write 1000 posts in that time. You did touch a nerve when you talked of readers. How many true readers do we have? At the end of the day, I'd just say, Blessed are those who have readers! Or else, we get people who just say "Yo!" and vanish. Congratulations on reaching the milestone!!!!!! Congratulations on this anniversary, Sujatha. I'm glad you don't churn out posts like some assembly line at the factory. Your posts have quality, original content and are worth waiting for. Double Dhamaka .. Aaah! I remember how I accidentally landed on your blog sometime last year and there on have been reading you regularly. You are one amazing writer. All that you've tried to put in those first few para's up there - do you really think so??. You really are an awesome writer and I enjoy my time as I read your wonderful posts. Way to go Lady!! let there be more and more..
the first para - absolutely! Congratulations on your 100th post. I believe in quality and not in quantity. But also it's true u have to keep blogging often to keep ur readers occupied. I accidentally found your blog link and loving reading your blogs from then. Will read all your blogs slowly. I also started some time back but stopped. Hope to start it again. Hope to see ur more blogs as interesting as they were till now. Any changes u think u want to make in your blogging style or topics or anything else. And About number game, yes that exactly spoils everything, be it be blog, ;) sms, calls, kisses etc etc when we chase such things labeling with numbers, we completely over look the real joy of it, forget numbers and keep writing. And I always feel u are a very good writer, Writing is not at all easy tougher than a speech i feel. So you are doing great, I wish you loads of success and wish you make another wonderful century soon :D. Thanks visiting me :) I got a very good insight seeing your blog and have learnt many new things. Perhaps,it is time for people named with letter 'S' to make centuries. After Sachin it is Sujatha. One is master of bat and the other is master of words.He makes fans with his array of shots and she makes fan with array of thoughts. But if you ask me which century is special...I will tell it is Sujatha's. Because it is not Sachin who reads my every blog post that I write, because it is not Sachin who advices me when I am stuck for ideas. It is always Sujatha who comes to rescue. Sachin ke fans agar Sujatha ke blogsite pe aayenge to wo Sujatha ki writing ke bhi utne bade hi fan ho jaayenge jitne bade wo Sachin ki batting ke hain. Congratulations....Number which bothered me a lot. As true friend and guide, you took me out of that thought process. Also inspired me to write. Thank god for having you as my friend, philosopher, & guide. Congratulations Sujatha! This is an amazing milestone. Kudos to you and this blog. Firstly you know what, somewhere readership and counts do matter. They are in a way a motivation to write more and most importantly, write responsibily. Secondly, I agree that you do take the time to read other blogs, and by that I mean COMPLETELY. You have read a lot of my previous posts, and that was very motivating for me then. Thirdly, as flattering and unreal it may sound, waiting and reading your blog has become a ritual for me! 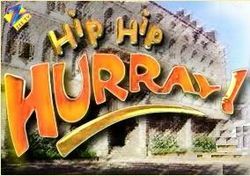 PS: You also used to watch Hip Hip Hurray? If yes, did you like rafey too? i agree with you Jenny - completely - readership matters - a lot, it is a motivation - for sure. it is just that i went through a phase where i was totally consumed by the numbers. i remember when my follower count was 18 & for so many weeks/months, it just wouldn't move. same thing happened when it reached 34. i also was worrying sick over my low page-views. the comparisons with the stats of other blogs can be killing at times. so i just wanted to tell the others who may be going through a similar phase, that it will pass. that they will get their readers/comments - IN TIME. ನನ್ನಂತಹ ಅನೇಕಾನೇಕ ಓದುಗರ ಶುಭ ಹಾರೈಕೆಗಳು ಸದಾ ನಿಮ್ಮೊಂದಿಗಿರುತ್ತವೆ. Iam glad to have discoved your blog. congrats Sauj...keep up the spirit and continue with the same enthu :) Glad to have discoved your blog.cheers! 100 posts in two weeks amounts to an average of one weekly post which is very good considering the fact that all ur posts have substance and good thought process. One must admire ur efforts to respond to each and every comment..thats incredible. Best wishes for ur new blog..
Congratulations on the birthday and hundred posts. It took me two and a half years to get to 100 posts, so you're good. Great points you have shared. Best wishes to you and this wonderful blog. oye balle balle, mubarakkan. i write for myself and i am sure there are better writers so main itna dil pe nahin leta if ppl dont read/comment. if i find something, i read :) live and let live. Congrats Sujatha! It's definitely special to hit that mark :) All the best! Congratulations!! the post feels so straight from the heart...and almost like ur talking to ur readers.. Most of my posts have had ur comments on them and I just want to let u know that it feels great every time u visit and put in ur feedback.. So here's wishing u the best in blogosphere and life! Cheers! Very very happy that you have scored a century Sujatha. Congratulations. I wish you keep on writing. Don't you worry about the pace, you have quality. I am glad i found you, thanks to Indi. yeah even i felt 'Conversations' suited the blog perfectly. Blog anniversary and 100th post.Quite a rare and marvelous combo. Congratulations on that.Being a blogger I know what it takes to keep at it consistently.Kudos,wish many such hundred posts and anniversaries. I absolutely see the magic of your sentiment-defying-editor part.The to-the-point trait of your writing and crisper presentation of thoughts should be owed to that efficient editor. Apart from that I see your point in acknowledging the time someone spend on the posts.I get it and I feel the same.Even if someone criticizes me after reading my blog I acknowledge/respect the fact that he/she has spent time if anything at all. On the numbers,I have felt that way initially but nowadays it doesn't matter much.Giving shape to my thoughts and the joy of sharing opinion matters. thank you Vishnu for all the things you said. you are one reader i value very much because u r both a good writer & a good reader which is a rare combo. I used to be obsessed about the stats thing earlier, but these days I just concentrate on writing something that appeals to the readers. I found that if the readers like an article, they automatically share it and google too picks it up and sends traffic from search. I used to write once in a week, earlier and I think thats the perfect update frequency. But these days, since I have more time I am trying to write more. And there is also this creative urge. Once I get a concept, if I don't do anything about it immediately, I lose that creative drive (for certain type of posts). Congrats for reaching that 100 blog posts milestone. I find a lot of people getting bored/dropping out of blogs after a few initial posts. But of late, I find a few of them comeback quite enthusiastically. I hope this trend continues in the blogosphere. When I started out, the blog scene was more vibrant than what we find now. Dont fret over the fact that u dont write often... Cos wen u write, ur posts r amazing and beautifully constructed.. I actually wait for ur posts :) It gets me thinking usually.. I like thought-provoking posts..
And if u really want to write more often.. Try writing a Haiku... There's this site called HAIKU HEIGHTS where they give u a word everyday and u gotta write n post the link... very addictive and a nice exercise evryday... U ll get the link on any of my haiku posts! i absolutely loved your 'killing baby...orphanage...bring home' idea :) rocking! Happy Birthday to your blog! Congratulations on completing 2 years and Best wishes for many more to come. When I read your post like earlier posts I found you mirroring my thoughts. Totally agree with you "Reader is King" the best way they can show that they like a blog is to read it. As a newbie blogger it is so easy to get caught in numbers..the page ranks, the visits the hits but finally at the end of the day it boils down to quality or what's in it for me. This was again a candid post, Sujatha, and when you say, you are an average writer, I would slightly disagree! Coz you write on such topics on which we all would have wanted to express, but lack the knowledge and expression. Ofcourse, there are other genres and better writers, if you say, but I love to come around Conversations, and spend time reading your insight of things and life!! The milestone is great but the pleasure of blogging is so many strangers read what you write and some even comment.Thanks God for the Internet. Here's wishing the very best for many more such anniversaries as you virtually have God's plenty to write about ! Sir, you have been extremely supportive and encouraged me by reading some of my oldest posts. I am indebted to you for your time and all the wonderful comments. Congrats Sujatha for your centuary...Many more milestone are just waiting for you. My best wishes is always with you. May you touch all the height of your passion..
Congratulations Sujatha..! got good blogging lessons..here! Congrats!!! Don't knpow ur blog much--new to this space but I know it is hard work. So heartiest congratulations! Here's to many more milestones on your journey! congratulations! i hv always admired the simplicity, audacity and clarity of your posts! May you complete another 100 in next one year. There are so many comments that i m sure ll end up in appreciating u with the words which were already consumed earlier by previous commentators. Congrats. A big milestone. Do give up on your writing style. As mentioned earlier, the emotional touch is the biggest driving factor. for a moment, i was surprised why you wrote, "do give up"
Congratulations, Sujatha. Not only is your blog a pleasure to read, but your encouragement of/to other bloggers is also something that your readers should know about. Congratulations! :). All the best for all the posts yet to come. I've read a couple of your posts. Your writing is very pleasant. Shall come by more often. u get to write and I get to read more n more 100s from u !!! Congratulations on turning two. I like the way you described how you blog. I used to obsesses about my posts a lot too.. try writing straight from the heart... it's super fast (at least for me) and then one edit and that's it. My blog existed in isolation for over three years before I joined Indiblogger. It's fun to write anyway.. if others read you it's a bonus, right? haha yeah must give that a shot - one edit & publish! Congrats on hitting 2! I can totally relate with all that is said above... Though I owe a lot to Indiblogger, I have been a little too obsessed with numbers too. And it feels great to (finally!) break free of those and blog what you like when you like... I did read all your posts and even remember most of them! Keep blogging... People luv wat u write!!! in another news, i found that my fav singer Alisha's birth name is Sujatha! hahah ... must check her out then ... Alisha! Blogging is not a number game. Very true & I liked your ideas about blogging especially in the last paragraph. So, keep blogging and my best wishes to u!!!! And Really sorry for the late reply, Work has just begun driving me crazy, so I'm left to read Blogs only in the weekends. hey there's nothing like late or early. the thing is you read - that's imp. and as it is this post is just 3 days old :) so read whenever you get time. i know - work can be very consuming not just in terms of time but sometimes in terms of mind-space too. i understand that. Hearty congratulations on your reaching a milestone.It is not in number or frequency that merit lies in but the content that matters and the way it is expressed and the style in which it is said.Though I am tempted to write that you are an excellent writer,I am restrained from saying it by your specific injunction!!! May you reach more milestones and regale your readers aplenty with your topical posts. wishing you many more 100s and may you keep expressing your views likewise in years to come ! and thanks for appreciating " monumental perception " , sorry for the fonts- it is just that my sons are camping on the blog page and treating it like guinea pigs! film !!!!!!! on what !!!!!! you are joking!! think about it.. a good screenplay is all you need. Congratulations for this milestone. You have a great blog and I like your writing. Here is one more reason to make this post memorable. I would like to give you the award of ‘The versatile blogger’. To receive this award you have to link back and follow the simple rules. thank you very much Ekta. Congratulations ! Keep up the good work. Wishing you many more milestones to achieve ! Hi Sujatha, Congrats! All victories ought to be celebrated. You write from the heart and very openly, certainly something to be applauded! Keep up the good work! from a new follower!! Thanks so much for dropping in at my blog Sujatha :).. I loved reading your 2 year roundup - especially the parts about give and take, and getting caught up in the numbers game ! And at 249 followers and counting (i'm making it 250 already of course! ), I'm sure you're being too modest about your writing! Can't wait to catch up on your old posts, hope to do that soon. awesome heartfelt post..so full of honesty!feels lovely to find out how u keep editing your posts to make them better and better and better! I too find that the more you ponder and edit,the more improved the article becomes..but alas this hectic life doesn't give me much time..yes indeed blogging is a beautiful experience..I have into it for about 6 months or so and I enjoy every time I find sufficient time to write anything new..congrats Sujatha! hope u reach many more milestones..I have found a beautifully unique writing style ever since I discovered u on blogpsphere!! Awww! I am touched. You have sketched your growth path by being brutally honest. I doubt if many people can portray them being ignorant at some point in the past.. It was a deja-vu for me.. I was linked to you from Dr.Prashanth's profile. Glad I visited that day. I loved the way you wrote. I loved the flow. Waited for your posts. Murdering? :D That was funny. But the term is accurate because every sentence is your brain-child. But, I am contemplating on quitting the bloggers world. I will still be around read all your posts. :) And CONGRATULATIONS! I know how big an achievement this is..
hello...don't say that. why quit? take your time. if your hands are full right now, lie low for a while but eventually you will find time. ultimately its your space,you decide how rarely or how often you want to post something. don't quit. Hey congrats Sujatha for completing two years and 100 posts!! :) I still have some time left to complete 100 posts (quite a lot of time)..
hahah you lost readers because of it ? oops! so when are you publishing the posts you have written or are you still on your "research" ? Congrats Sujatha,&swimming through 182 comments should convince you that i like your blog! Cheers to your 2 yrs of successful blogging..
5 years - wow! that's really cool. Wow thats defenetely an achievement, I partially agree that numbers are not all, but it is a great feeling to hv blog friends n readers who follow u, approve of ur thoughts mentioned in the blog, share their views n go along!! Looking at ur followers n stats n comments from fellow bloggers u hv achieved more that wat u migh thv thought isnt it..
Also I liked ur attitude of reading my blog from Blogspot to wordpress n leaving a word of encouragement!! Much appreciated hv a happy blogging years ahead!! and I will do visi there more often from now on ..
yes, from 2 readers to many more today, it's been more than i ever thought. and hey forgot to mention. Your DP pic is a santoor sabun ad model wala post. You should audition!! after 2 year still not reach 100th post....now after reading your blog..i think i m tooo slow...lol..